Humanside Experiences, the teambuilding activity specialist company, has launched its new activity, Duathlon iPad, the “technological” treasure hunt involving two different elements: the land and the sea. With the aid of an iPad, each team has to create a strategy to complete the tests and to score the highest number of points within the time limit. Geolocation constantly enables the teams to receive instructions for the tests as they come to each place. The tests combine cultural and touristic information about each individual place along the way, with corporate content specially designed for each company. The highest scores are gained in the tests involving teamwork and corporate content. 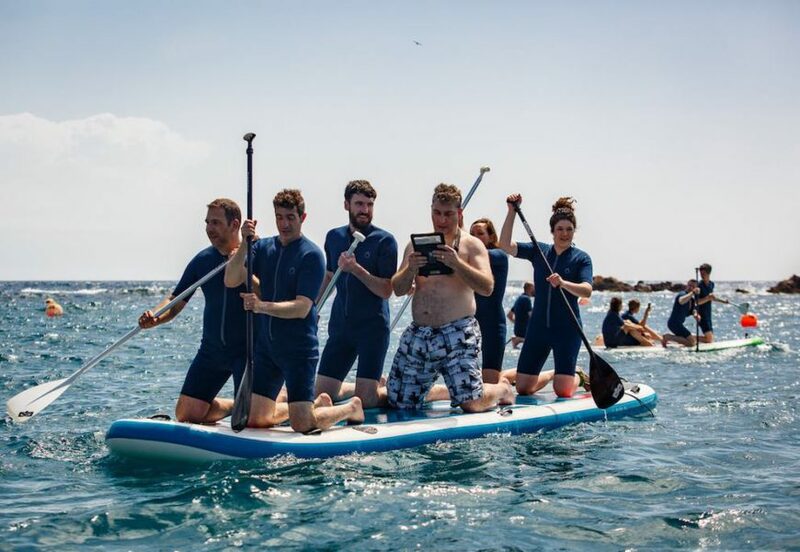 A special feature of the Duathlon iPad is that while half the teams are doing the tests on land, the rest embark on a “Big SUP”, a giant Stand Up Paddle board or surf board, to find the different tests hidden in the middle of the sea. The tests are located with the participants’ safety in mind and with the aim of enabling the group to enjoy the best views of the region from the sea. Coordination and teamwork are essential to get on board the giant surf board and to sail in the right direction. A trained instructor accompanies the teams from the water, ready to provide advice and help whenever necessary. It is a safe activity, with absolutely no risk for participants. The two blocks have to be completed in the same amount of time. Once the teams have passed all the tests, Humanside Experiences downloads all the photos and videos made by the teams in the course of the day from the iPads and makes them into a short film so that the participants can share the experiences that all the teams have had, thus creating highly positive synergies.